The knowledge and experiences gained at Cheverus, as well as the relationships developed set the foundation for academic, personal and spiritual success. A Cheverus education is an investment in the future. Tuition for 2019-2020 school year: $19,650* Monthly and semi-annual payment plans are available. Nearly 70% of our students receive tuition assistance, thanks to the generous support of our benefactors. Holding Fee: A $750 non-refundable holding fee is required within two weeks of receiving your decision letter in order to secure your place in the class. This fee will be applied to your tuition balance. Books: $200 - $500 depending if you rent them, buy them or download a version (depends on the class). General class fees: These run about $200 and cover art supplies, yearbook, retreat, etc. These fees are paid prior to the beginning of the school year. Dress code: About $150 - Many families purchase the pants and shirts from Lands End using coupons. Blazers can often be found at Goodwill. Personal device: Freshmen are required to have a personal device that can be used in class as we move to a 1:1 program. Phones do not qualify. Personal devices are purchased independently by families prior to the beginning of the school year. *The actual cost to educate a Cheverus student is over $25,780. Historically the tuition rate has increased about 3% each academic year. Rate increases are determined at the December Board meeting and then publicized in January. We recognize that affording Cheverus is a financial challenge for many families. Last year Cheverus awarded more than $2 million in financial aid packages to about 65% of the student body. Although families are expected to make a significant contribution to their child’s education that is within their means, as determined by filling out the FACTS financial aid application, we do not want finances to be the only reason your student does not attend Cheverus. If you will be applying for financial assistance, we encourage you to open a dialogue early in the admissions process with the Admissions team. Applying for financial aid through the online FACTS application as early as possible enables a family to be considered for tuition assistance. If you have questions or concerns about the financial aid process, please reach out to the Admissions team to discuss options and your individual situation. 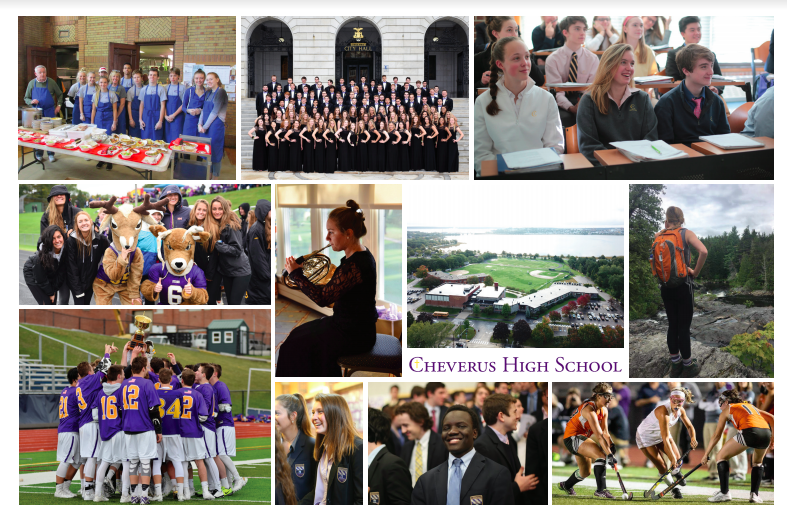 To reach the Admissions team email admissions@cheverus.org and 207-774-6238 x114.